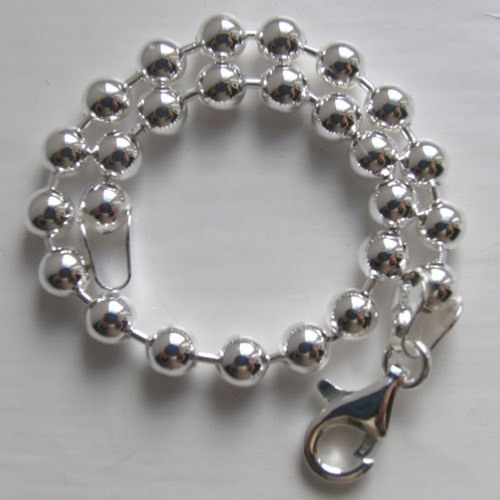 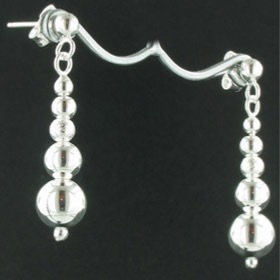 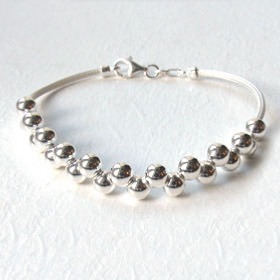 Made in Italy, this is a great silver ball bracelet. 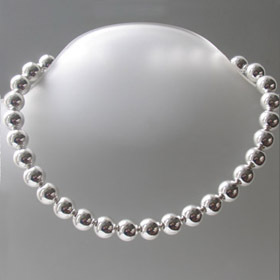 Each ball is 5mm in diameter and joined to the next with a silver spacer. 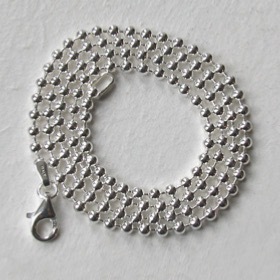 The bracelet moves fluidly around your wrist and shines brilliantly. 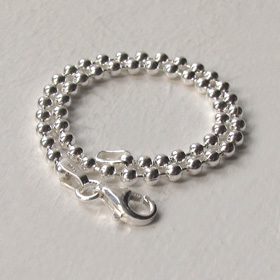 The fastener is a sturdy lobster claw clasp. 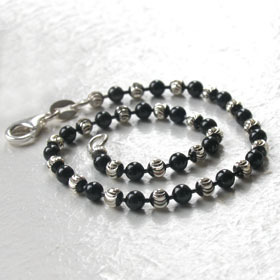 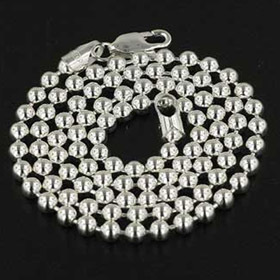 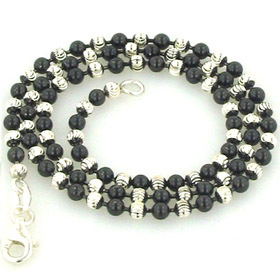 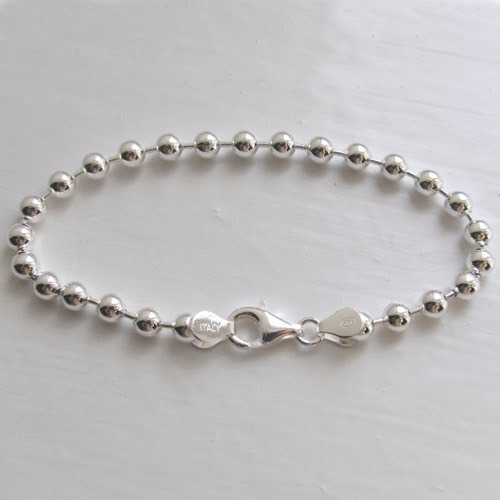 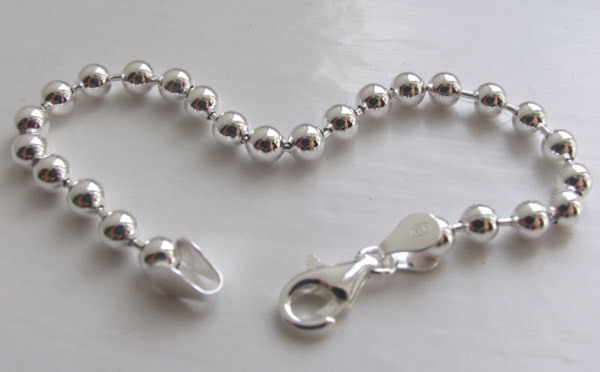 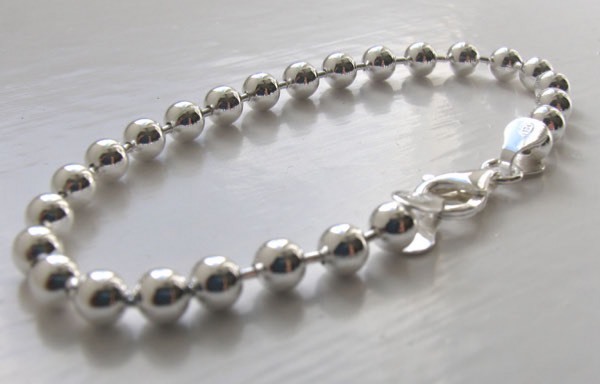 This silver bracelet has a matching silver ball chain necklace. 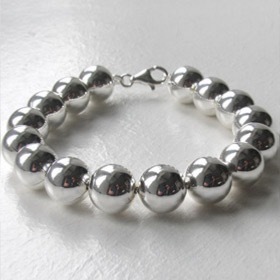 If you like to layer your silver bracelets, we have a comprehensive collection of silver ball bracelets in various widths and styles.